Ran into a bunch of videos about the Atlas Missile Program. I first heard of this project reading about it in Ian Hogg’s book Artillery back in the 1970’s. That book didn’t have too many details and I’ve never really thought about it much since. This post has most of the details and what the V3 was about. There are very few things more impressive than the Iowa Class battleships. They were the pinnacle of the gun at sea at the same time the gun as main weapon was more or less obsolete. So How Much Danger Were The Kids In? From a 70 odd year old contact mine? Not much. Now from the pictures it’s fairly obvious that it’s a contact mine. 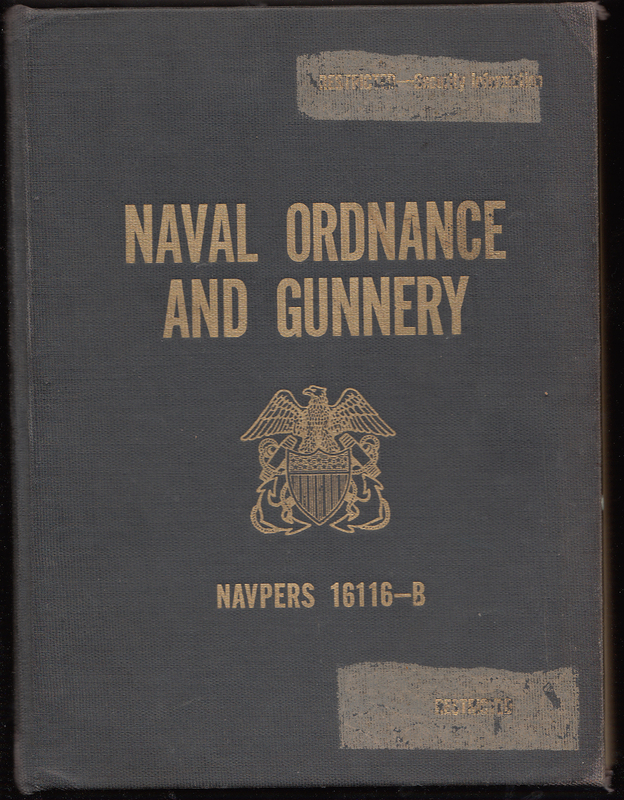 I didn’t know what type so I consulted my copy Naval Ordnance and Gunnery, which dates back to 1950 or so and covers the weapons used in WW2. 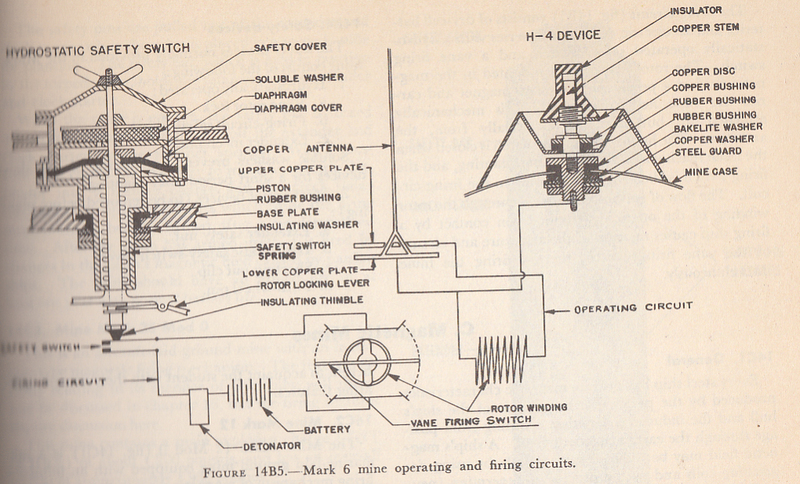 Sure enough, in the section on mines this picture showed up diagramming the Mark 6 contact mine. The book covers the mine and how it works. 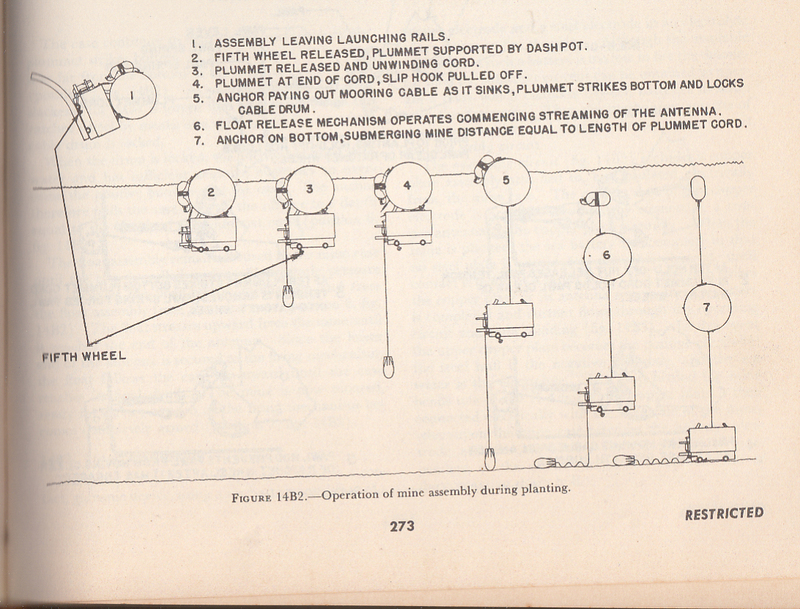 And a diagram of the detonator. In the pictures on the Popular Mechanics article you can clearly see the firing mechanism, or what’s left of it, which are some rusted chunks. There’s also the fact that the mine was electrically detonated and the batteries were long dead. So the possibility of the mine going off without somebody attaching a charge to it is rather slim. That being said deteriorated explosives may have reactive chemical in them and be a little unstable. Mines are usually designed to have plug that rusts out and causes the mine to sink to the bottom. I’m surprised that this one was still floating. Still, as long as you don’t go using the thing as wrecking ball, it’s very unlikely to go boom. As it hadn’t for 70 years of being knocked around the ocean, going through who knows what. Nothing a kid could possibly do it could be worse than what it’s already been through. 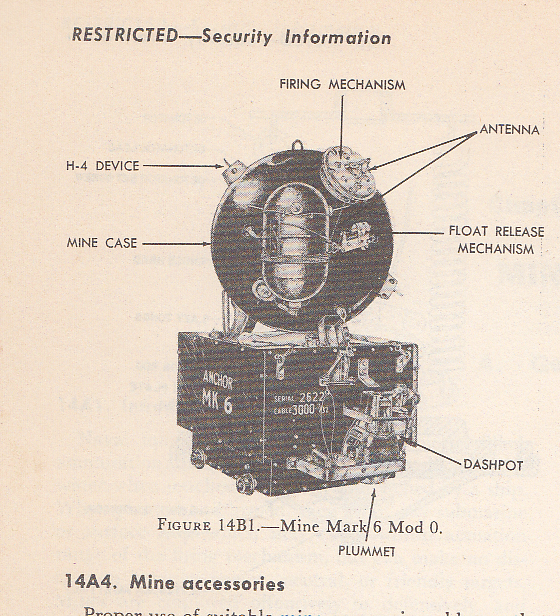 Here’s a nice page from the US navy on mines including the Mark 6. The Renault FT17 was the first tank where all the feature that we have come to define as “tank” came together. All in all a very successful design. Rhinebeck Aerodrome in NY has an FT17 that runs. You can see at the end after all the WW1 airplanes.